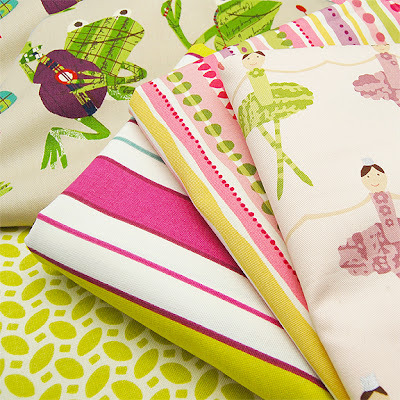 Greenhouse is excited to introduce our newest collection of inspired fabrics: Greenhouse Kids. The collection is filled with bright and vibrant colors as well as fun and playful characters. For those of you who have been having issues finding the right fabric for a kid's room, look no further than Greenhouse Kids! Whether you are after a dancing ballet or musical frogs, you can find it at Greenhouse.